Hundreds fill up seven large bookcase shelves. Mostly, they’re alla-jumble, but every so often I get ambitious and think about organizing them. I could sort by ethnicity, country, or culture. I’ve got books specializing in Chinese (Yan Can Cook), Japanese, French (Julia Child, natch), Mexican, Spanish, Hawaii, Caribbean, German, Jewish, and soul food cuisines. Or how about food type? Entire books on single foodstuffs—chicken breast, chocolate, garlic, salsa, burgers, pasta, omelets, and grains. The Totally Crab Cookbook. The Soy of Cooking. Chili Madness. A Passion for Potatoes. Maybe divide into the four food groups: cake (Let Them Eat Cake), chocolate, desserts, garlic. I’ve got books devoted to specific cooking equipment—grill, slow cooker, microwave, bread machine, dehydrator. Even one called The 9x13 Pan Cookbook. I could have a whole section on healthy cooking. Or vegetarian meals. Or something called Tassajara Cooking (admittedly, that would be a small section). I’ve got illustrated books and classic books (Joy of Cooking) and omnibus books and diet books and famous chef books (Jacques Pepin, Paul Prudhomme), and even humble, small books (The World’s 100 Best Recipes). I do have a few favorites, books I keep going back to: Southern Living’s Our Best Recipes, Nikki & David Goldbeck’s American Wholefoods Cuisine, and The America’s Test Kitchen Healthy Family Cookbook (the only freebie I felt “worthwhile enough” to carry back home from BEA last year). All this sorting by cookbook “genres” got me thinking about fiction genres. Obviously, in my cookbook conundrum, there’s a lot of overlap between groups. A cookbook full of chicken recipes could go in the food type group, or the main dish group, or the low-fat group. But it’s got to go somewhere, just like a novel in the bookstore. Anyone else collect cookbooks? Anyone have a good recipe for rutabagas? Thanks so much to all the Cozy Chicks for inviting me here today! Always a pleasure! Hope to see some of you at Malice! I collect cookbooks too...and I rarely use the recipes from them either!!! lol. I love to get the cookbooks compiled by special groups (Recipes by friends of the MVA hope foundation...a collection of Polish and American recipes from the friends of St. Stanislaus Foundation, Holiday Recipe Book from Rochester Psychiatric Center, etc), but I get all sorts. I also enjoy reading books about cooking and chefs. I collect cookbooks as well, though I do try to limit myself. I have my standard "go-to" books and then I have a huge variety of cookie-related books. And I mean huge - two full shelves are devoted to cookies, while all the other cookboos get crammed cheek-by-jowl into a third shelf. I have some recipes I use over and over, but mostly I just enjoy the whole cookbook experience. Alan - I didn't know you collect cookbooks! That is really interesting! And you're right that it's hard to organize cookbooks because of all that overlap. Hmm... I'm honestly not sure how I'd begin. I collect cookbooks too, although I just have a small collection (only about a shelf and a half) and I try to limit myself now. I do have a special old one: my paternal grandmother's church cookbook (her name is on the list of ladies' auxilliary officers); the Third Baptist Church of Little Rock, Arkansas, printed in 1948. Grandma and several aunts have recipes in it (mom went through and marked all of them for me so I'd know which ones are theirs) and the front and back covers are completely detached but not lost, but I love it. It has the cobbler recipe I always use, even though that one doesn't belong to a relative. Katreader - I've got a bunch of those compilations from different groups. You find some pretty wild recipes in those! Laura - Mmmm. Cookies. That should be a fifth food group. Margot - I bookmark web recipes, but I never seem to go back and look at those. And I wouldn't want to take my laptop into the kitchen--too afraid I'd get crumbs in my keyboard! Signlady - I know what you mean about recipes from relatives. I have a little tin box full of my grandmothers special recipes. The only problem? They're all written in Yiddish and I can't understand them! MY favorite cookbook is called Apples For Jam and was given to me by a dear friend. I think the best cookbooks have stories, photos, and an inscription from a friend. Alan, I didn't think it was possible for you to be cooler than I originally believed, but you've done it. With this post, you are officially The Man. I used to collect secondhand cookbooks, with the idea in the back of my head: one day, I will like to cook, and will use them ... That day never came, so a few years ago, I gave them all away. And now, my life has changed, I got a boyfriend and a parttime stepdaughter, so I'll have to cook more often. Now those cookbooks would be handy to think up ideas of what to eat this time. Luckily, you can find everything on the internet. Ellery - Thanks for inviting me today--I don't get a chance to talk about my cookbooks very often, but I love to! Janet - I need to look into some mystery cookbooks. They would dovetail nicely with the "mystery" dinners I sometimes serve! Aurian - Ah, the wondrous internet. 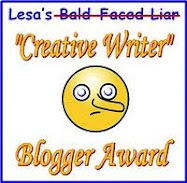 I still prefer to be able to hold a cookbook and write in comments or suggested alterations. Sorted by size is good--I've got the heaviest ones on the sturdy bottom shelves. And some of them are pretty darn heavy! Alan, I'm a cookbook addict, but I've limited myself too...well, more than I can use. I have them sorted into sections - famous authors and restaurants, single item (like chicken), cook type (like grill)and brunch. As for the rutabegas, there are 5 recipes at Abundant Harvest. Here's the link to the page. I should mention that my husband built me a special, long, single-shelf bookshelf that is tilted forward so I can easily read the spines while I'm in the kitchen. I have two cook books and I've made several recipes out of the Betty Crocker Cookbook, the other one I probably made one. Jacqueline - Wow, a customized bookshelf. That's some serious cooking! Alan, I collect cookbooks also. I love to pick up cookbooks when I travel. I have them organized by regions and states. 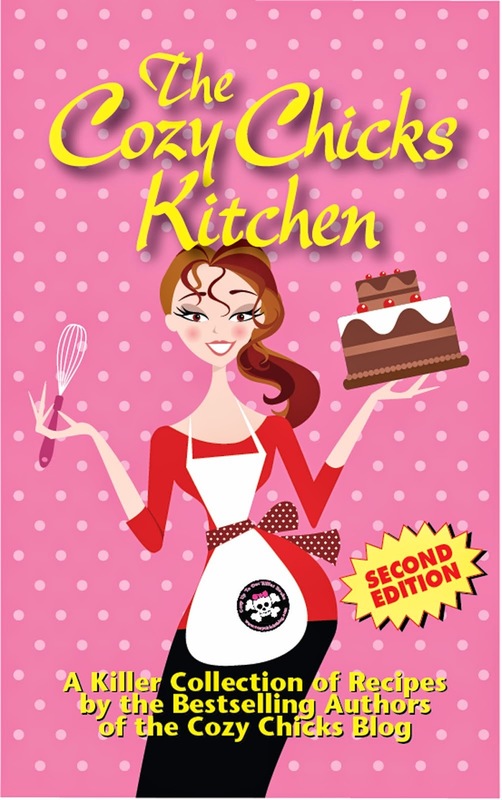 The best cookbooks re local junior leagues and church groups. But the book I always go to when I cook something I am unfamiliar with is The Joy of Cooking. I also refer to my Taste of Home Cookbooks and magazines. My favorite has been handed down from my great- grandmother and now to me- The Ladies Home Companion Cookbook. It's depression era and still has its original leather cover although it is held together with electricians tape at this point! But it has lots of handwritten notes from four generations in it and I had to fight my brother for it! Someday it will go to my daughter! Annette - I also go to the Joy of Cooking when I'm faced with something I've never done before. Ev - I love finding old notes and comments in cookbooks. Very interesting! 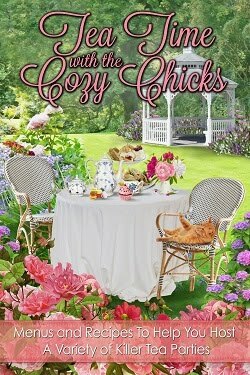 Thanks again to all the Cozy Chicks for letting me visit--I had a nice time interacting with your blog readers! I just love the possibilities that exist with in cookbooks! Unfortunately, I don't have the kitchen space for collecting cookbooks--maybe one day! I find a lot of recipes online these day--usually when I'm looking for something specific, like steak marinade or alfredo sauce from scratch. I too have a disorganized jumble of cookbooks that I "had to have" at the time but never use. I do use my "appalling collection," a series of strained folders labeled appetizers, vegetables and salad, desserts, entrees tried and entrees not tried. When I want to cook something new or revive an old favorite, I go to those battered folders in a drawer in my bedroom.